Welcome to Melody Village! Explore an exciting new world in this journal-activity book based on the bestselling toy brand Fingerlings! 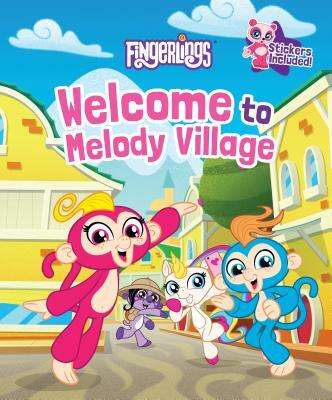 You’ve just arrived to Melody Village--a beautiful place filled with friendly faces and exciting adventures. Here you can bounce with Bella, take selfies with Gigi, and even start a band with Boris! Write, draw, and puzzle your way through your new home! And get to know even more of your Fingerlings friends from the sticker sheet included!